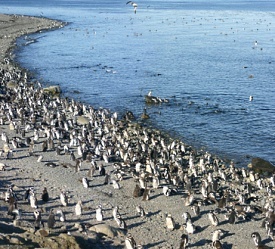 The Strait of Magellan is one of the world’s most important natural waterways, linking the Pacific and Atlantic Oceans. The strait passes below Chile and above Tierra del Fuego and Antarctica. The strait was named after the man that first navigated the waterway, Ferdinand Magellan, on his famous voyage as the first person to circumnavigate the entire globe.